Live updates for Derbyshire and East Staffordshire have finished for the day, but we'll be back at 08:00 tomorrow with all the latest news, sport, travel and weather. It’ll be mild and mostly dry cloud will thicken through the night with the odd outbreak of patchy light rain possible. Derbyshire's chief constable Mick Creedon has been awarded for his "outstanding contribution" to policing. After serving 37 years in the police force he was given a Special Recognition Award, presented by Her Majesty's Inspector of Constabularly Zoe Billingham before his retirement in May. Expect delays to remain for some time. Traffic appears to be queuing from before junction 27 after an accident closed three lanes northbound between junctions 27 and 28. It's been 50 years since Ilkeston has had its own railway station after being axed by the Dr Beeching cuts in the 60s. The Conservative MP for Erewash, Maggie Throup, said it's mainly thanks to government funding. "This Sunday's a historic day as Ilkeston finally reconnects with the rest rail network. This wouldn't be possible without the £6.6m station fund grant. "This is money well spent and will encourage people to use the train to visit Ilkeston and will boost the local economy." A 72-year-old Derbyshire man is preparing to run 156 miles across the Sahara Desert, again. Bill Mitchell from Turnditch said he will be the oldest man from the UK to take part in the Marathon Des Sables and he's aiming to beat his 2016 time. Preparing himself for the challenge described as "the toughest footrace on earth" he said he his still nervous. "You might have an injury or you might not perform as well. You're running through sand dunes, salt flaps and it's just baking." Bill is raising money for the charity Starlight which helps children with serious and terminal illness. Derby County midfielder Craig Bryson has compared new boss Gary Rowett to former manager Nigel Clough, saying he respects the "honesty" that Rowett has brought to the club. The government's rejecting Labour's calls for an independent inquiry into the operation of the HS2 high speed-rail link after an engineering company pulled out amid allegations of "conflicts of interest". Yesterday it was revealed, American firm, CH2M, won't be going ahead with its £170m contract to develop Phase 2b of the project, part of which is due to pass through our region via the East Midlands hub at Toton. The Transport Secretary Chris Grayling told the House of Commons: "This was not some massive misdemeanour. "It was an error in process which has caused them to take a step back." Visitors have been left confused over how to pay for parking at Elvaston Castle as ticket machines have been faulty for a few weeks. Around three of the machines I saw in the car park were faulty this morning. Whilst I was there one woman put her money in but was not issued a ticket and another woman in the car park told me the machines were often like this. Derbyshire County Council told BBC Radio Derby: "If all the parking meters are broken and could not be used then we wouldn't issue a ticket. "If one machine was working then we would expect people to use it and pay for a ticket." It'll be mainly dry and bright with some sunny spells and only a couple of showers – particularly in the early evening. Warm too with highs of 19C (66F). A self proclaimed footballing legend was born. Happy 47th Birthday to Craig Ramage our sports summariser. Missing the Ashbourne market?...well I bring you good news - it's one week away from returning. The market will now be held in the Civic Square, between Waitrose and Ashbourne Library. 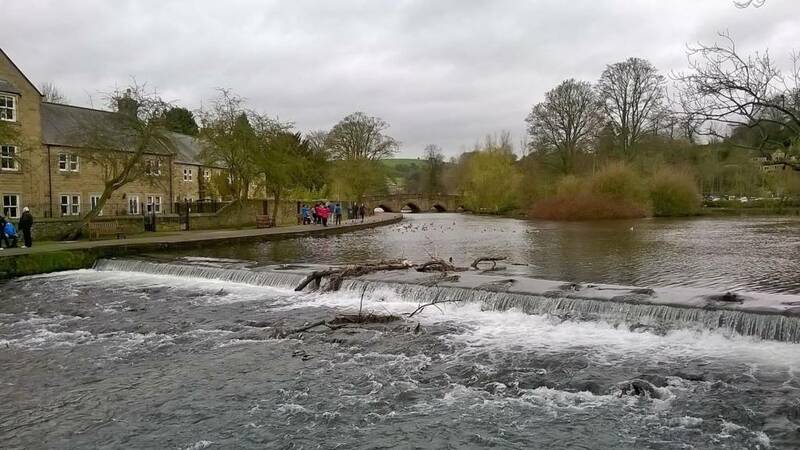 Derbyshire Dales District Council closed the market at the start of the year because of a lack of stalls and customers in its previous location, Market Place. All the stalls in the new venue have been snapped up by traders for the opening day. A man has been charged with possessing a Class B drug with intent to supply. The 51-year-old was arrested yesterday after police raided a house on Westminster Street in Alvaston. The man is due before Southern Derbyshire Magistrates' Court today. This morning I joined volunteers and the Environment Agency at Poppy Wood Park where they were trying to identify what's been poisoning dogs. The Forestry Commission said at least three dogs were taken ill after visiting the park near in Melbourne. The park has been closed after volunteers said they couldn't guarantee dogs' safety. Video caption: Volunteers search a popular dog walking park in search of poisonous substances.Volunteers search a popular dog walking park in search of poisonous substances. Derby County Manager Gary Rowett said he's already got to work on some of the Ram's frailties. The team conceded a 95th minute equaliser at Forest in his first game in charge. It was the seventh time they had either lost a match or a winning position after 90 minutes this season. They get ready to welcome Queens Park Rangers tomorrow. A pedestrian who was knocked into a canal when he was caught in a two car crash remains in a critical condition. A van and a car collided in Swarkeston yesterday afternoon sending the car into the canal. Passersby helped the elderly female driver out of her car and pulled the pedestrian from the water. The man remains in Queen's Medical Centre in a critical condition. The woman was treated for minor injuries. Derbyshire Police are appealing for witnesses .